When in Rome…Find Yourself by Lena Mae Hill is a new, unique, heartwarming, NA romance that will not only entertain readers, but open their eyes to the very real struggle of living with anxiety. The novel tells the story of Rory Hartnett, a twenty-one-year-old woman who ventures away from home for the first time in a study abroad program in Rome. This trip is a huge step for Rory, as are her experiences all along the way, as she discovers her own inner strength in the face of her anxiety. Hill’s story is well-written, with prose that flows off the page, and well-drawn characters readers will connect with, sympathize with, and champion. Hill does an excellent job of illustrating the sweeping impact of parental anxiety on children, and how anxiety itself can manifest in ways that others may not understand or even notice. The evolution of Rory’s character is well-done as she explores a foreign land, opens herself up to new love in the wake of a horrible break-up, and learns to assert herself. When in Rome…Find Yourself is a fantastic read and is ideal for fans of romance novels who want characters with depth that they can connect with and champion. Category Jeremy is a YA historical/time-travel/superhero novel that tells the story of Jeremy Tremaine—one of the Dover Amalgam—whose body contains a weapon of mass destruction. In Jeremy’s case, this weapon is a hurricane that puts him in a class unto himself. 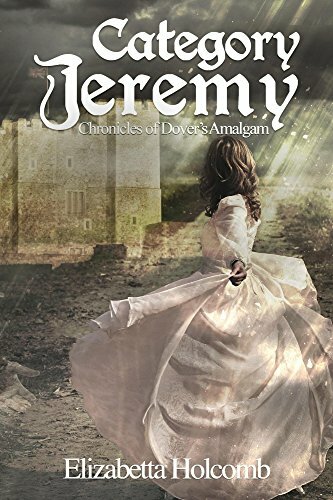 Jeremy’s life, while complicated enough living between time periods: medieval Dover, and modern Louisiana, England, and the Cayman Islands, and being the strongest host in the Amalgam alive, becomes even more complicated when he returns to Louisiana to gain the forgiveness of his best friend (and someone he has come to love deeply), Beau Benoit. Holcomb’s novel is a unique spin on the superhero genre, with a wholly original take on superhero origins that will not only interest readers, but touch their hearts as well. Add to that an exciting plot filled with twists and turns, you have a story that will entertain readers of all ages for years to come in and out of this genre. With rich, well-drawn characters, a fresh take on superhero origins, and a plot that will leave readers clamoring for more, Holcomb’s work is not to be missed! 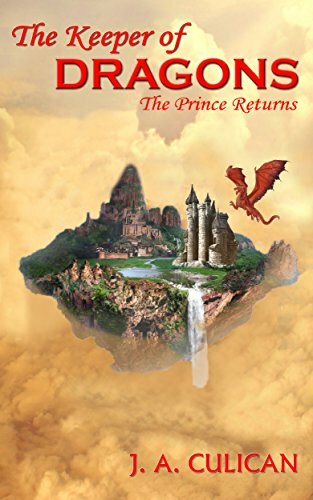 The Keeper of Dragons, The Prince Returns tells the story of eighteen-year-old Cole—a high school graduate with an average—if not dull—life, who discovers that there is much more instore for his future than he ever imagined. Just when Cole believes his average life is headed nowhere, he discovers that a far-from-average destiny awaits him—one that is filled with wonder and magic beyond his wildest dreams. Culican’s story is highly imaginative, fanciful, and magical—everything a fantasy novel should be. Her characters are endearing, her plot is exciting, and her world-building is intriguing and inspired. Cole’s character, in particular, will win the hearts of readers, as they watch him discover his true life and calling, and embrace a destiny rife with challenges and danger. Fans of Harry Potter and Lord of the Rings won’t want to miss out on this adventurous tale. Filled with action, humor, magic, and wonder, The Keeper of Dragons, The Prince Returns is not to be missed. Aube’s story is an interesting one, with a setting I find highly enjoyable. New Orleans is a place rich in history, wonder, and mystery, making it an ideal setting for a dystopian novel. Her use of historical landmarks and cultural highlights of the area adds to the story and may even inspire readers to check it out for themselves if they have not yet traveled there. The overall premise of the story—an America whose government has fallen and been replaced by a program that determines an individual’s true name and purpose in life—is disturbing, as a good dystopia should be, and easy to follow because of Aube’s skill at description and detail. I have found many dystopian novels to be difficult to follow because of a lack of attention to detail when it comes to setting and backstory, but that is not the case here. Aube takes her time in laying out the backstory for readers, creating a rich and vivid plot, which I appreciated. With a highly descriptive dystopian setting, interesting and likeable characters, and a plot that leaves room for sequels to come, On the Other Side is a well-written story that will leave readers wanting more. Fans of The Hunger Games and Divergent will not want to miss it. Well-drawn characters, interesting premise, intriguing mythology. This is a sci-fi novel lovers of all genres will want to read. The Fourth Piece is the story of three teenage brothers who learn that their background is not as “normal” as they had believed/hoped that it was, and what they discover leaves them reeling in their sneakers. While the novel’s genre is science fiction, there is enough “normalcy” to the story, and the charming characters, to entertain readers of all genres, not merely the sci-fi fans. The story is told from alternating points-of-view from each of the brothers, which adds interest and enhances the reader’s experience. I, for one, enjoy reading novels told from multiple points-of-view in particular, as I feel it adds depth to the story and the characters themselves. I also applaud authors, like Ardell, who can pull this off successfully, as it is no easy task. Well done! The brothers, Lawrie, Lyle, and Devon, are realistically drawn teenage boys that will make you laugh, cringe, and even cry as you delve into their unique personalities and struggles growing up in a world riddle with racism, fear, and hate. Ardell has done a masterful job at creating characters people of all ages can relate to and connect with on multiple levels: you’ve either felt like one of the brothers at one time in your life, or known someone who has. If I had to choose a favorite, and this is tough as all of the brothers are engaging, I’d have to choose Devon’s character. I enjoyed reading about his struggles with dealing with the emotional separation between him and his twin brother, Lyle, while simultaneously dealing with their alarming discovery and the fantastical, and dangerous, new direction of their otherwise “normal” teenage lives. I also found his difficulty with accepting his “differences” from other teens to be endearing. As a high school teacher, I have seen countless students struggle with the idea of “standing out from the crowd.” Ardell’s handling of this difficult, and all too common struggle, was artfully done, so much so, that I would recommend this book to my students. Overall, I found The Fourth Piece, to be a highly engaging novel, and I look forward to the next installment. For my first blog post, I thought I’d put up the vignette I wrote a few years back entitled, “Thieves in the Night”. Originally, the vignette was used in my English I class as a model to help students with their vignette writing project. At the time, the students were learning about similes and metaphors, thus, the overabundance of them in the story. Overall, though, I felt like they worked, painting a vivid picture of someone recounting an incidence of violence and pain–both physical and emotional. When I began writing my latest novel, Against the Odds, I thought of the vignette and decided to incorporate it into the story. In the novel, the vignette is an assignment from a grief counselor to help a patient, Nikki Elliot’s character, deal with the violent deaths of her parents. So, here it is. I’ve also posted a link to it in the Redline extras tab in the menu.